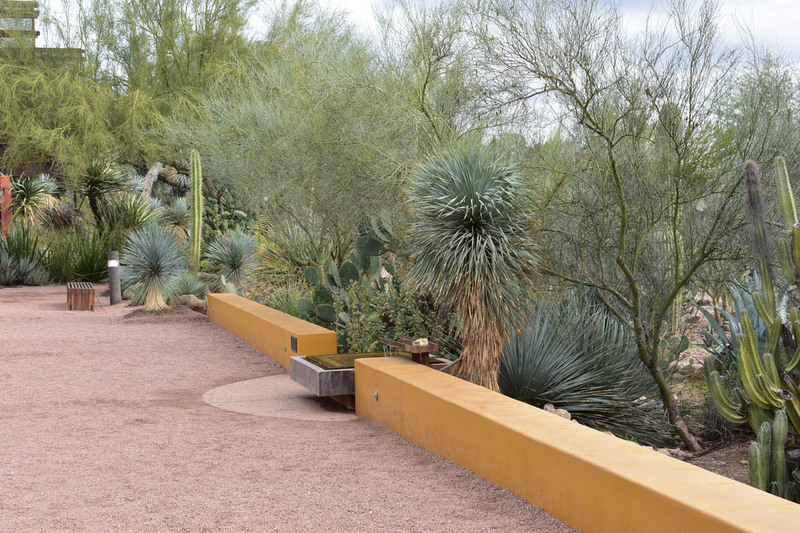 While in Phoenix for other matters, I first took time out to visit their world-class Desert Botanical Garden. I was in search for design inspiration and some relaxation. Contrast is something I appreciate, being a flowers-optional designer in a 2 dormant seasons climate. Somewhat like the low desert in Phoenix, except as you’ll see they have no true winter unlike Las Cruces’ 2 month “hit and run” winter. The tans and browns of walls and permeable decomposed granite walkway, sure. But without the bold forms and dominant use of blue-green accent plants, this would look weaker. The yellow line of (overused) Echinocactus grusonii doesn’t hurt, here. 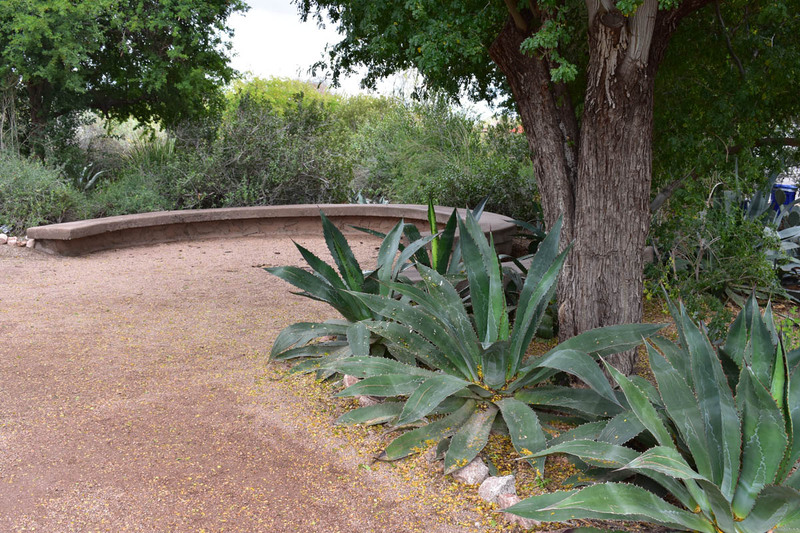 Same as earlier shot, except angular agaves with a semi-circular seat wall make this pop. So does something I learned at my first job in ‘8*: provide a reveal on a wall to create more shadow and dimension. I enjoyed this on my cool, cloudy Monday as much as on a warm April day my first visit here in 2012. Yellow with tans and blue-greens, bold with the wall edge and crunchy walking. The water feature in the middle was more captivating when warmer. Since I want a blue wall or two, a yellow wall might also be needed nearby. 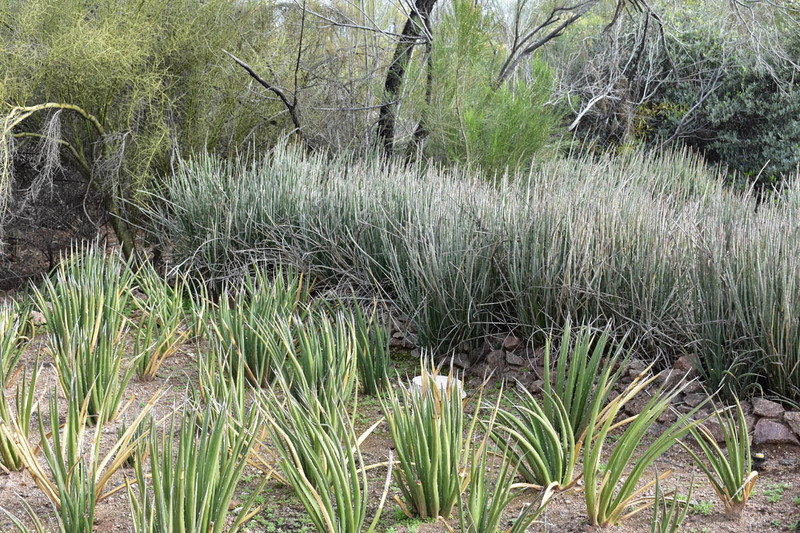 This is not a massed planting, but a highly naturalistic one, typical of many xeriscape designs in the Sonoran Desert. 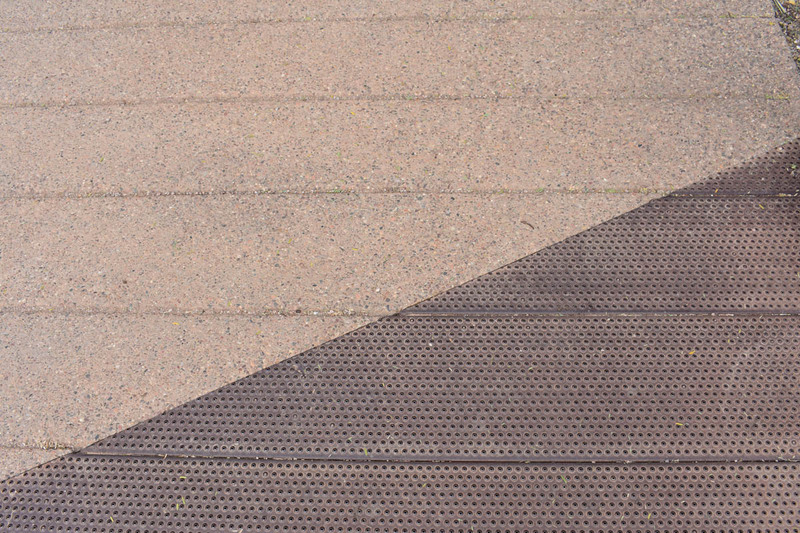 Same direction and module, yet different materials…concrete and steel. 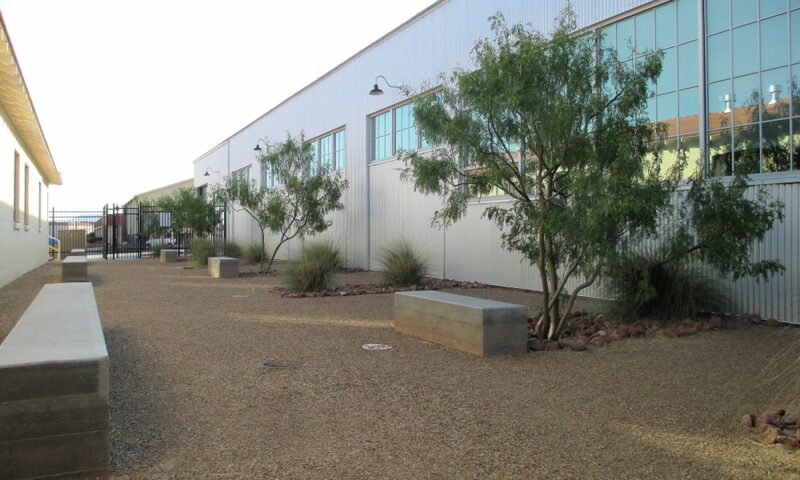 This is the closest thing I saw at DBG that fits in with the whole Marfa minimalism schtick. Oddly, this gridded massing contrasts 2 Chihuahuan Desert species…undervalued Agave lechuguilla and alienesque Euphorbia antisyphilitica. This is a great, sculptural arc of dark with bright, and wet with dry. The dark beach pebbles are a good texture. 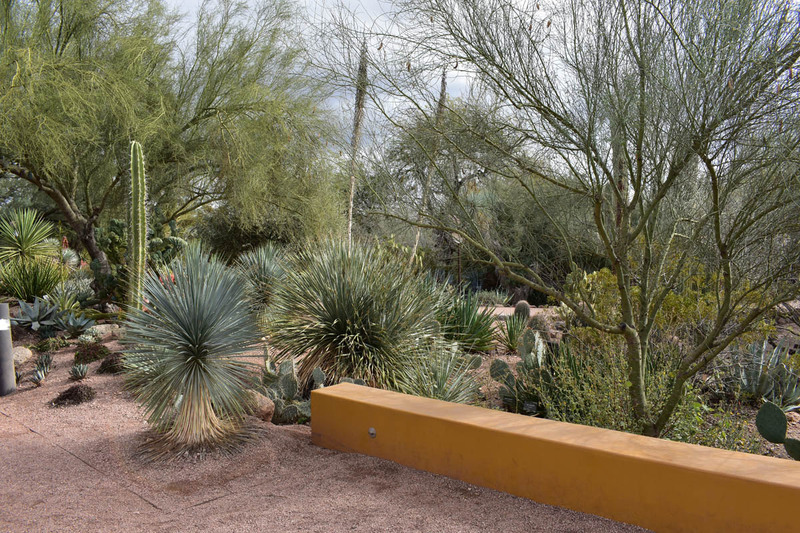 While out of my price range for now, something about it could be abstracted with my area’s own hardy desert plants behind it to work. Cholla anyone? 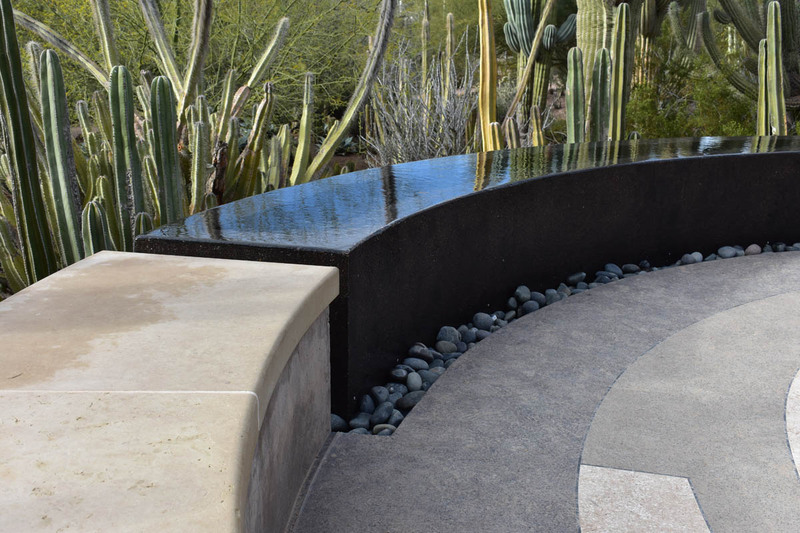 What seals the deal on the Desert Botanical Garden, other than various designers’ inputs, is the sense-of-place created. 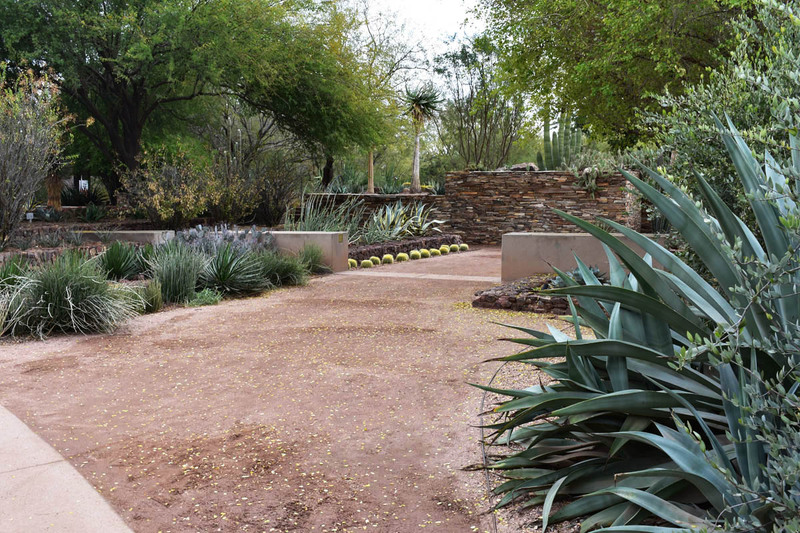 There’s no denying their garden is in the Desert Southwest, right down to the specific location. There’s no compromise by using contradictory imagery, either.